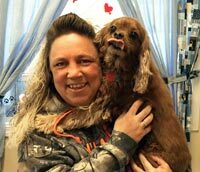 The staff at the Pampered Pet Center are animal lovers to their very souls. When your fur-baby comes to visit, he or she is welcomed in as a member of our family. In addition to their deep love of animals, our staff also has many, many years of experience working with animals of every shape, size and personality. You can leave your pet kid with us and know we’ll love ‘em like you do. 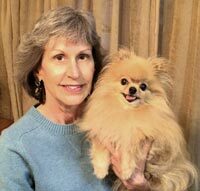 As Pampered Pet Center owner and founder, Jeanette has poured her heart and soul into the Center since 2003 in honor of her beloved Pomeranian, Tori. She still gets a thrill in seeing how excited our pet guests are when they arrive for a day of play with all of their doggie friends. The Pampered Pet Center was Jeanette’s labor of love – and that continues today. 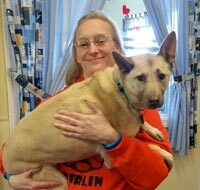 Known among staff, as well as clients, as the Pampered Pet Center’s very own “dog whisperer,” Mary becomes surrogate Mom and Grandma to every pet-kid that enters our door. Her many years of working with dogs have given her tremendous insight into their personalities and their needs. It’s not unusual to find a shy pup hanging out in Mary’s office or cuddled next to her when she spends the night to care for our extended stay pets. A born and raised Illinois farm girl, Angela loves her pets in all sizes – including her “girls” – cows Emma, Emmaline, Big Bertha and Ella May. In addition to hanging out and playing with our “pet kids” – Angela keeps everyone up on what’s going on through our Facebook page and other social media. And, she’s the one behind the camera for many of our great photos and videos. 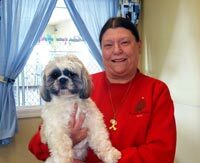 At home, Angela enjoys her pet kids, Peyton, a Shih Tzu and Bella a Min-Pin. Keysen, Mary’s grandson and Theresa’s son, has been hanging around the Pampered Pet Center with his Grandma since he was a little boy – often spending the night at the Center when we had overnight guests. Keysen’s dream is to be a veterinarian one day. He loves being able to play with the dogs and watch them go home worn out from all the fun at the end of the day. Keysen shares Rose, Spud, Zack and Shadow at home with Mom Theresa. It really is a family affair at the Pampered Pet Center. Theresa’s mom is Pampered Pet Center’s Mary. So, Theresa comes by her love of animals honestly. Theresa is our pet bather, so it’s not unusual, especially on Sudsy Saturdays, to find her elbow deep in bubbles as she makes sure our pet kids are looking their best. Theresa has a houseful of her own pet kids, including Spud, a Dachshund; Rose, a Jack Russell mix; as well as her two cats, Zack and Shadow. Don has been caring for dogs most of his life. 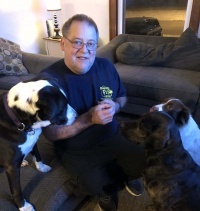 While at the Pampered Pet Center, Don enjoys being outside with the pet-kids and it’s not unusual to find him engaging our dogs in a game of fetch. Don is also a generous giver of treats to pet-kids visiting the Pampered Pet Center. At home, Don is the proud pet parent of Zero, a Pug, and Dustie, a Sheltie. 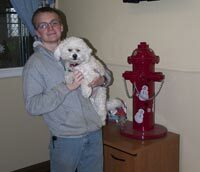 Chris enjoys the wide variety of breeds and personalities of the pet-kids that visit and stay at the Pampered Pet Center. Chris jokes with pet-parents that he wants to “dognap” each pet. Chris also enjoys socializing the pet-kids in our cage-free environment. At home, Chris has two pups of his own - Sadie, a Jack Russel, and Randy, a rescue hound mix. Both pet-kids are spoiled rotten and enjoy kicking Chris out of his own spot on the couch. Mark is an animal lover through and through! Understanding the different personalities that each pet has allows Mark to provide quality care each time they visit the Pampered Pet Center. 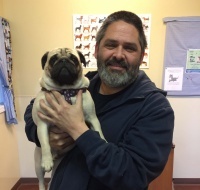 Pets are family and pet parents are sure to know that their pet kids are in great hands with Mark. 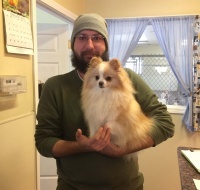 When he's not playing and caring for the four-legged fur babies at the Pampered Pet Center, Mark enjoys spending time with his own crew which includes dogs Gizmo, Tex and Maverick and cats, Bandit and Radar.